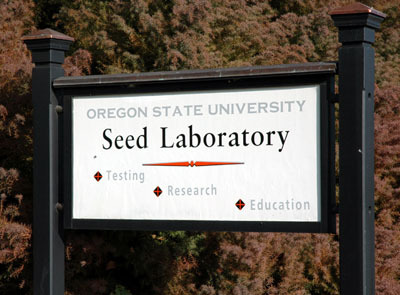 The OSU Seed Lab is located on the beautiful campus of Oregon State University in Corvallis, Oregon. Our modern lab facility was built, and custom-designed in 1989. The lab employs approximately 25 permanent analysts and staff. During our busy season, we employ between 15-30 additional staff. The OSU Seed Lab was established in 1909 and has operated continuously ever since, making it one of the oldest such labs in the US. Read more about our history and see a gallery of historical photos!